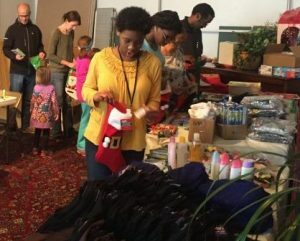 Many of us can remember the excitement we felt as children at finding our stockings stuffed with candy, nuts, toys, games, and even much needed things like hats, mittens, and underwear! Please help us bring that same excitement to kids in need this holiday season! If you would like to help us help others by donating to our Toy, Gift, & Stocking Stuffer Collection Drive, please let us know. Your help is very much appreciated in making the holiday season brighter for those in need.